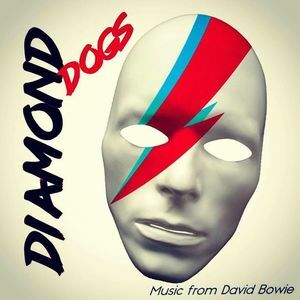 Diamond Dogs- RELOAD, REWIND & RECALL ROCK N ROLL The glam boogie blue-eyed soul rockers Diamond Dogs are back to set things straight! After the loss of saxophone player and longtime band member Magic Gunnarsson (who died in a drowning accident 2014) Sulo and the rest of Diamond Dogs called it a day. They released the album Quitters & Complainers 2015 and went on a farewell tour ending in Oviedo in October together with Iggy Pop. Since then Sulo's released 3 solo albums, working with Chris Spedding, Paul Young, The Crunch etc and the rest of the members been busy with other projects. During this time a lot of Diamond Dogs gig requests have been dropping in from all over the world and when they found out that 4 of the 10 previous studio albums have been out of stock for a long time and unavailable as down loads they started to make a plan. Sulo & Honk (Henrik Widen), the remaining original members thought it was time to set things straight and release that compilation they've been talking about for many years. One thing led to another and soon RECALL ROCK & ROLL(Cargo Records) will be available, a double album including 30 tracks. 25 old and 5 brand new. At the same time Cargo Records will re-release 4 previous albums on vinyl/Cd & download. The albums are As your greens turn brown Too much is always better than not enough That's the juice I'm on And the split album with legendary US Punkrock singer Jeff Dahl. Atlantic Crossover. DIAMOND DOGS 2019 are Sulo Lead vocals Lars Karlsson-Guitar Martin Thomander (ex Electric Boys)-Guitar, Backing vocals Henrik Honk Widen Keys, Backing vocals Stefan Bellnäs- Bass Thomas Broman (ex Glenn Hughes)- Drums Playing over two nights in the CBGBs of London, the legendary Dublin Castle, Sulo and co. will feature special guest artists both nights and offer a special cheap double show tickt with album included. Book now to avoid disappointment!